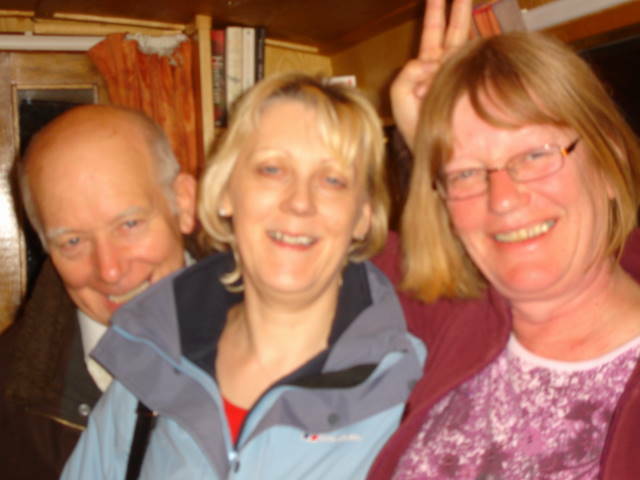 When Anne and I arrived in Penkridge we met up with our good friend Jeff – and his new lady Sandra. Romance was definitely in the air and Jeff was pleased to tell us that he and Sandra will be getting married in November. Congratulations! This entry was posted on Friday, April 25th, 2008 at 8:05 pm and is filed under Uncategorized. You can follow any responses to this entry through the RSS 2.0 feed. You can leave a response, or trackback from your own site.